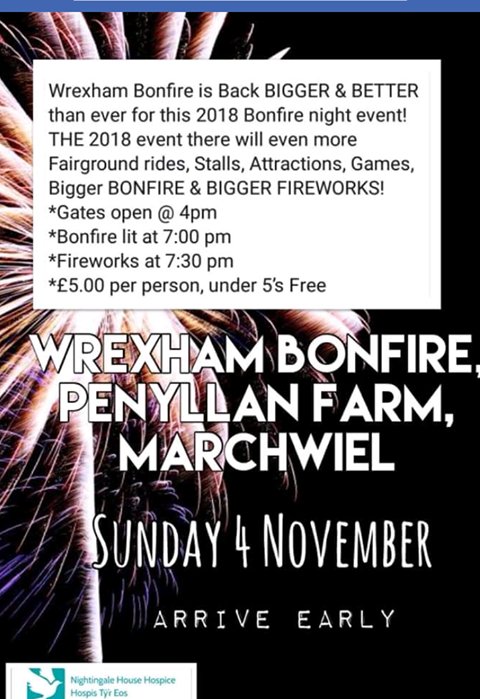 Bonfire Night is just around the corner and there are a number of displays taking place across Wrexham for people to attend this year! 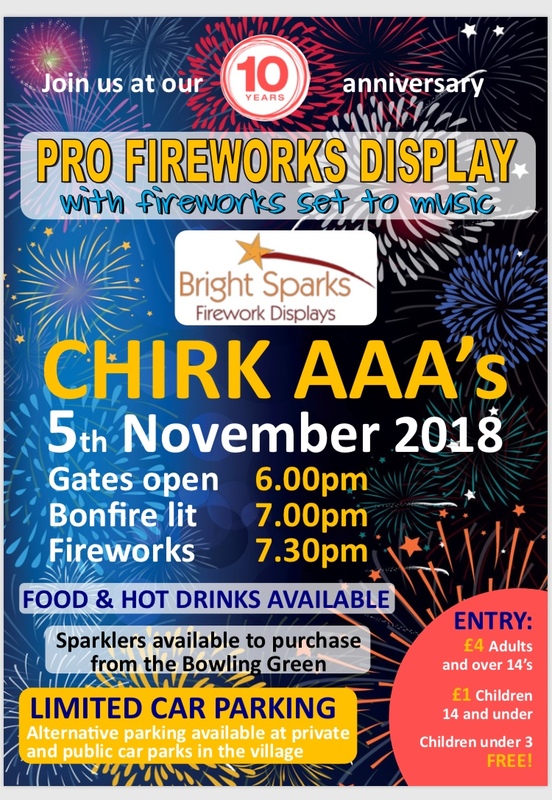 November 5th falls on a Monday so expect to see the usual offering of fireworks displays, fairground rides, sparklers and candy floss! 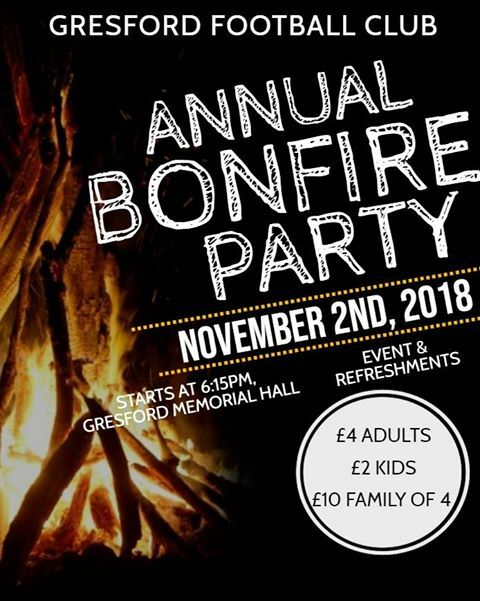 If you want to find out where the nearest bonfire events are happening we hope to have a comprehensive list below which includes the where, the what and all importantly, how much. 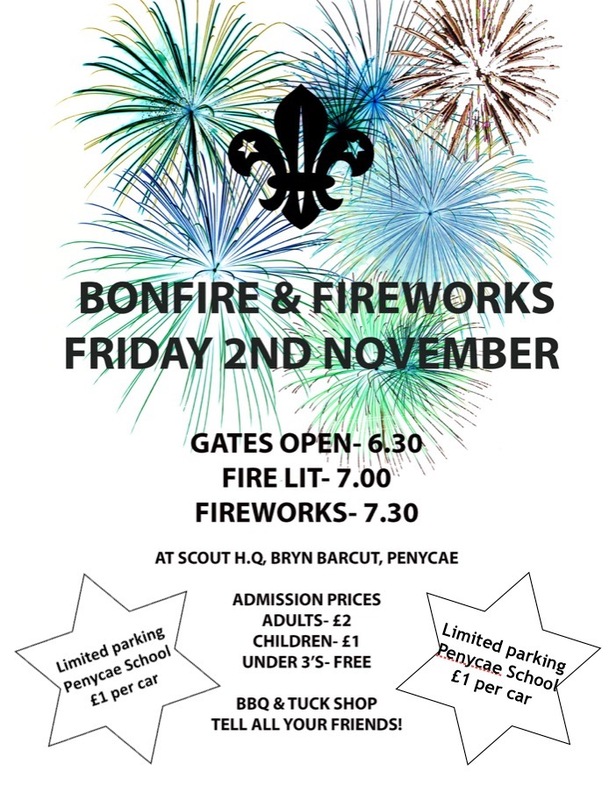 Details: Llay Miners Welfare present their annual Bonfire & Fireworks Bonanza 2018 sponsored by Premier Express Convenience Store Market Square Llay. 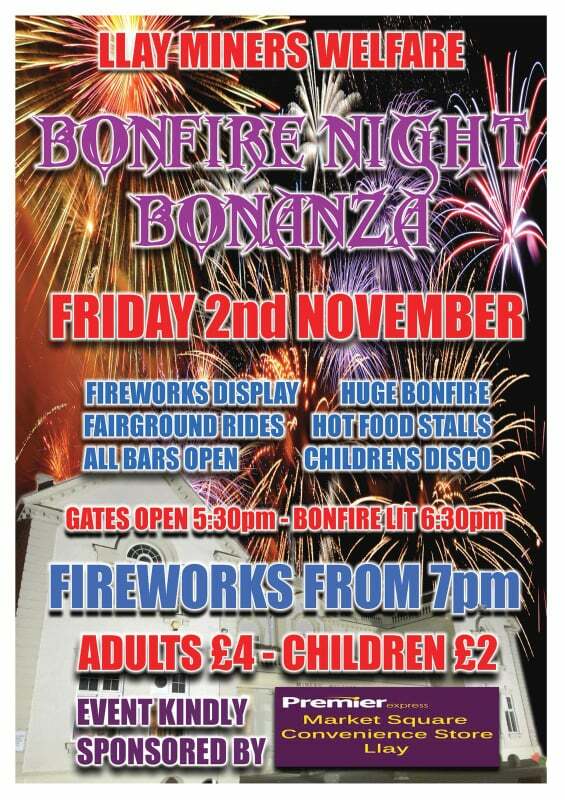 Various on site attractions include fairground rides, hot & cold food, children’s disco and much, much more. All main bars within the Miners Institute building will be open for refreshments. Please do not park on the main B5102 Llay – HollyBush road, B5425 Llay New Road or block any residential driveways. 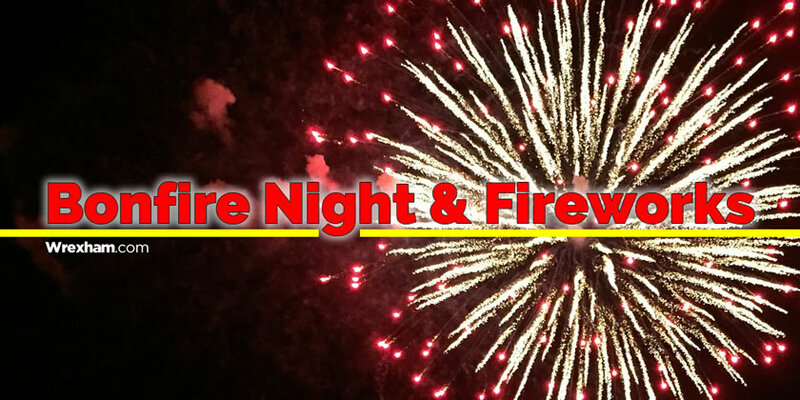 If you have a community event in November or December you would like let people know about (no back garden firework displays please!) 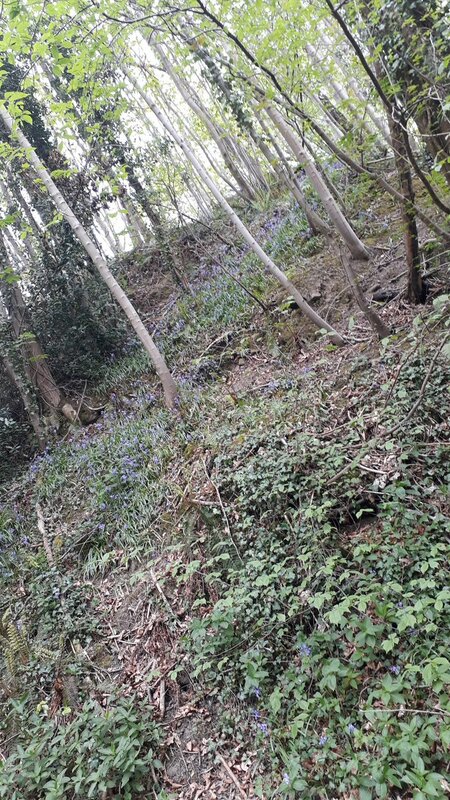 get in touch by emailing news@wrexham.com and we’ll be happy to assist – please note if you are placing paid adverts elsewhere please use this self serve ad system – and we will also place it on this page. We would like to know where your event is, how much it costs to enter (adult/child/concessions), any flyer images plus any other details!